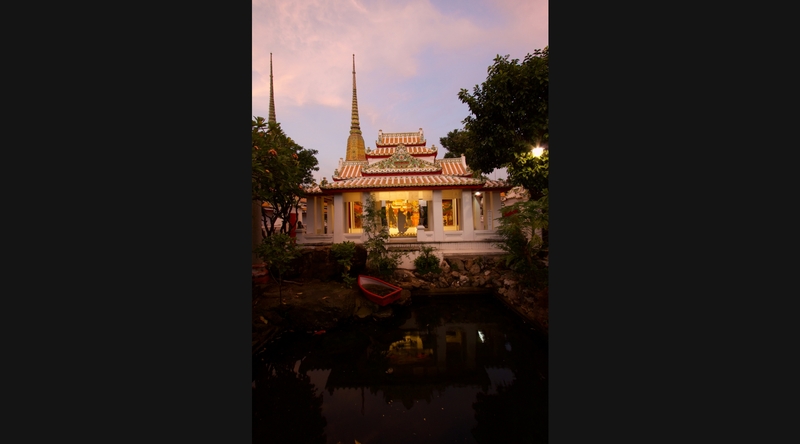 1959, Born in Thailand, Lived and worked in Australia since 1997. 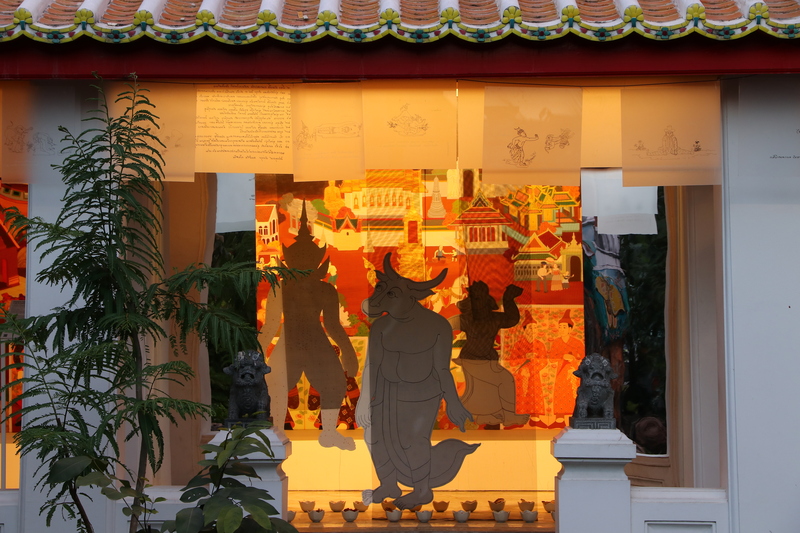 Knowledge in your hands, eyes and minds. 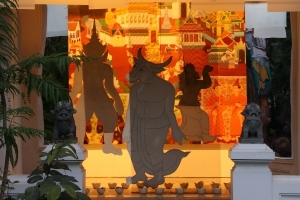 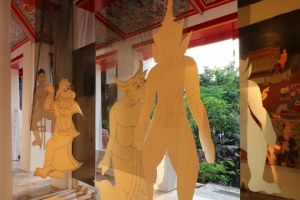 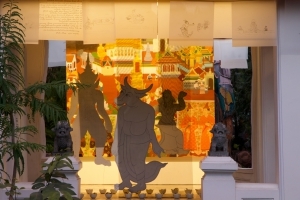 Site specific work, installation with mural at Sala Sa Jorake, Wat Pho temple, Bangkok Art Biennale, October 2018 to February 2019. 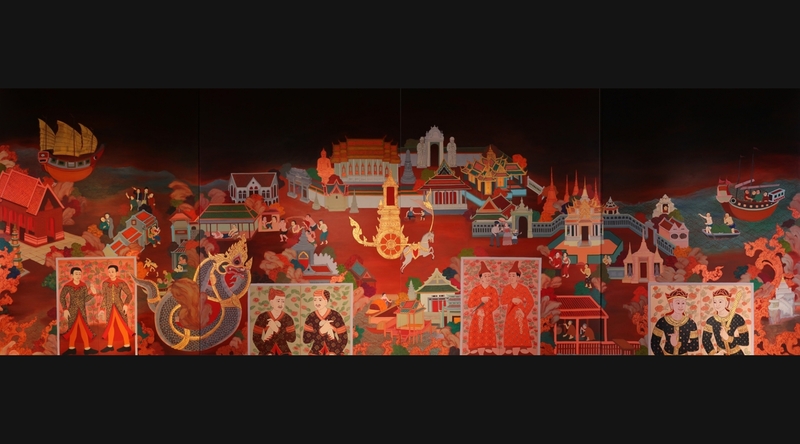 Size of mural: 2.2 x 6.4 metres over four panels. 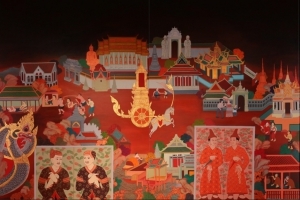 Medium: acrylic on canvas. 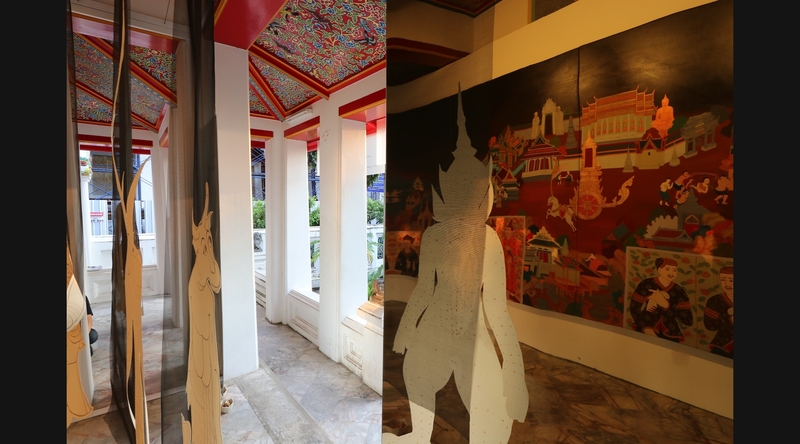 Phaptawan’s new mural work at Wat Pho is a multi-layered exploration of the history and situation of a temple she has known since her childhood with her muralist father. 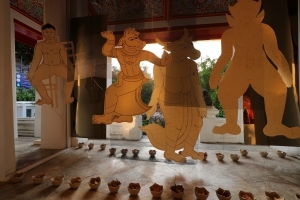 Recent trends in her work disturb a simplistic neo-traditionalist reading and have been widely exhibited internationally. 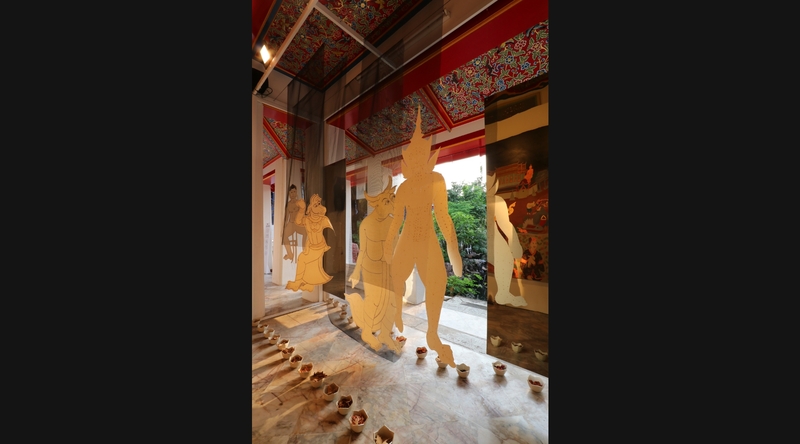 The new work shows the temple’s history as a site of public education in Bangkok since the 1830s and interrogates time and conventional narrative through the hanging figures at the front, garden side which deliberately impede an uninterrupted viewing. 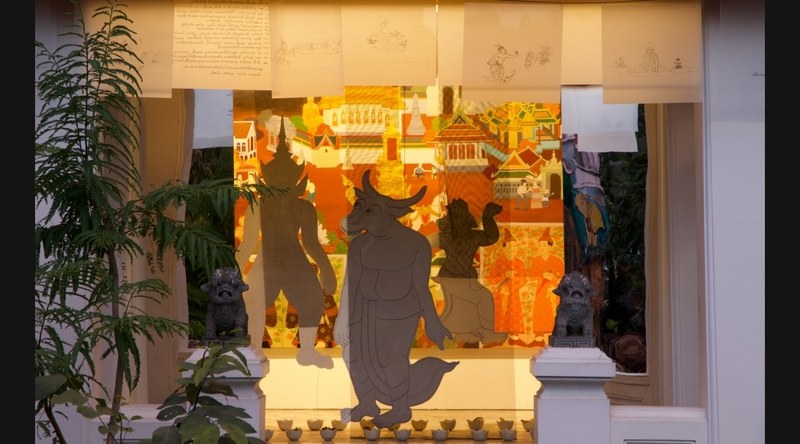 Widely educated in Thai poetry beginning with her two years of tutorship by Chang Sae-tang when she was seventeen, she overlays the mural with a soundscape of readings from the very poems incised elsewhere on Wat Pho’s walls. 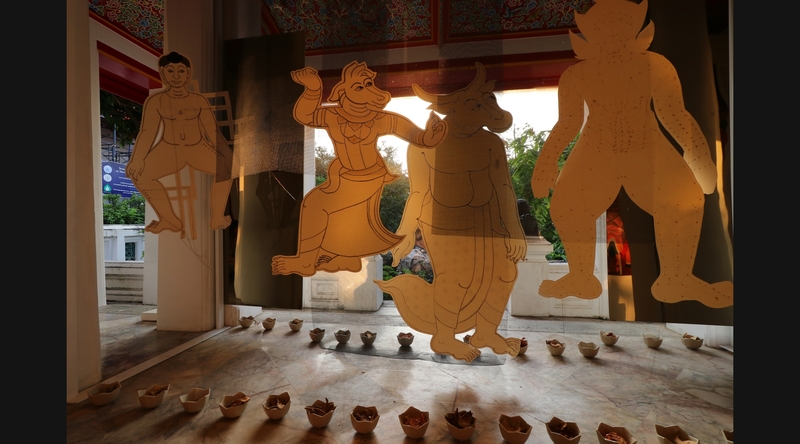 These are read by students and by their professional music teacher from Angthong, as well as embraced by a fragrant sensorium surround provided by open bowls of the Thai herbs used by the masseurs trained at Wat Pho. 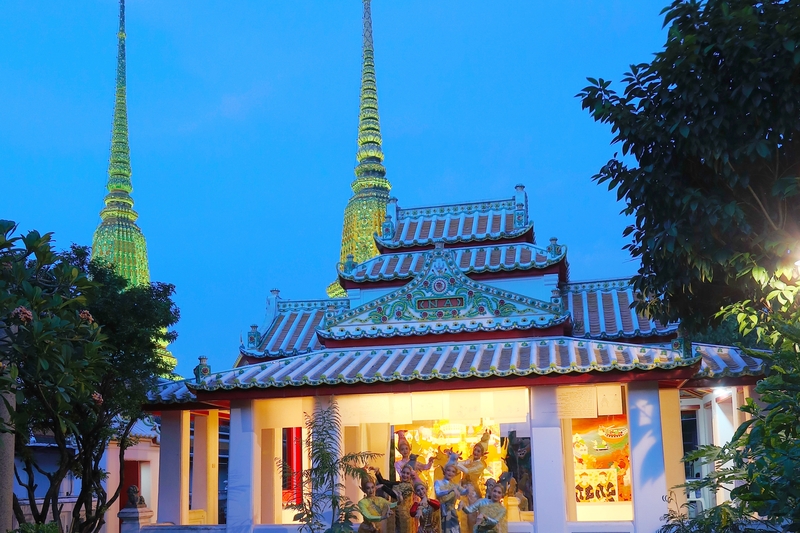 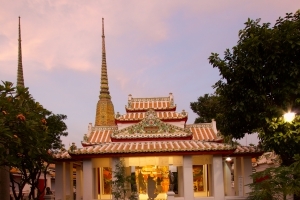 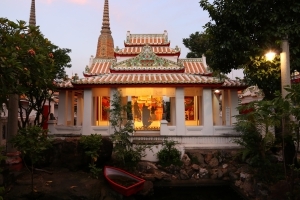 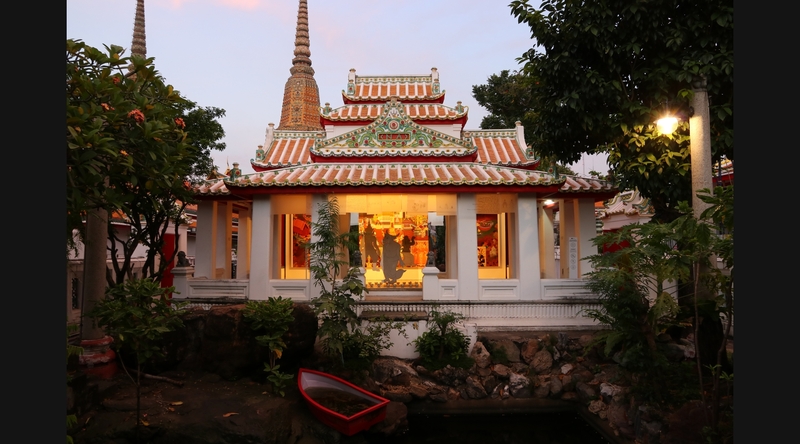 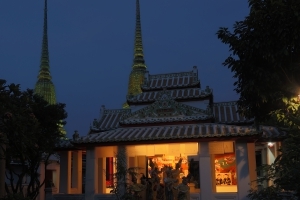 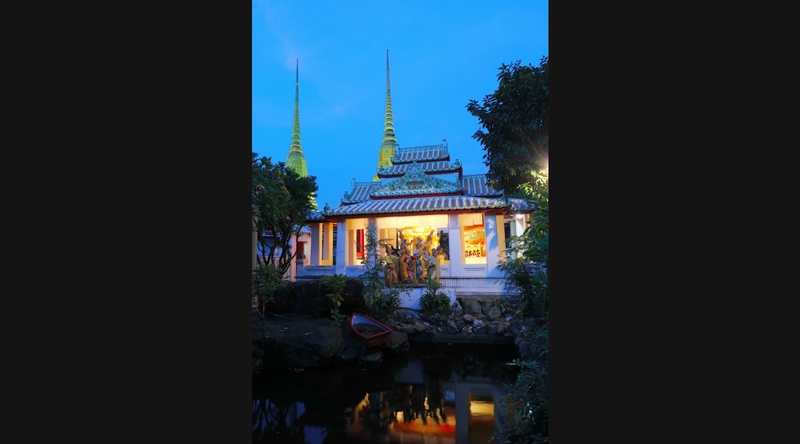 Residence overseas has provided her with a coolly non-attached view applied to Thai history and its habitual sites, looking for identification but also inflecting her empathy with an unhabitual questioning. 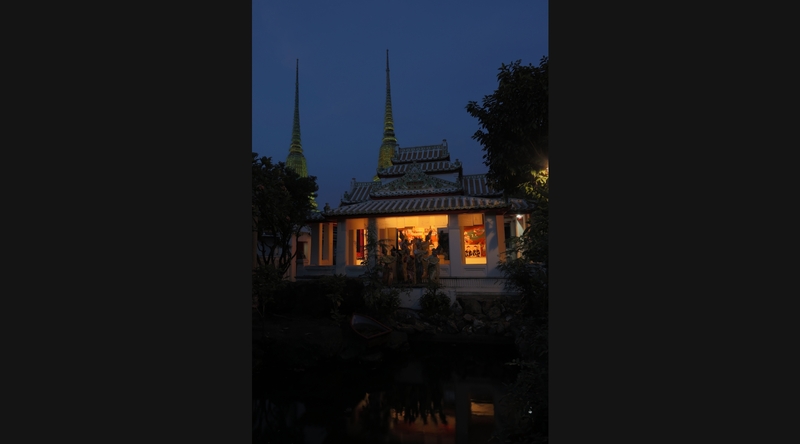 © Copyright 2018 by Phaptawan Suwannakudt, all rights reserved. 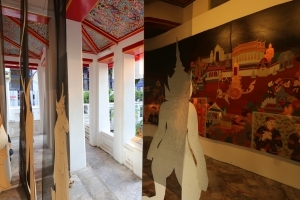 Images may not be copied, printed or otherwise disseminated without express written permission.